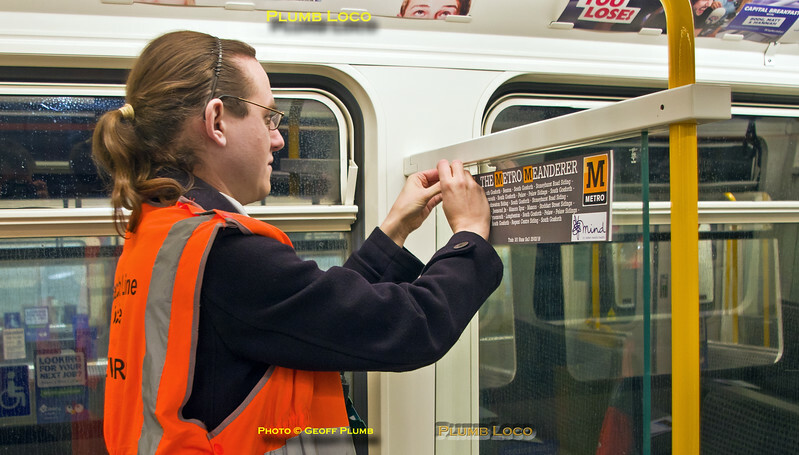 BLS Steward Mark Haggas affixes a "Metro Meanderer" window decal to one of the interior glass partitions in Metrocar 4046 during train preparation for the tour at Gosforth Depot, 07:59, Sunday 25th February 2018. Digital Image No. IGMP34051.